DENVER, CO – As the Winter Guard International season draws to a close, it’s time to look ahead to drum corps and our upcoming April training camp and All Days. This will be the first full training camp with all three sections in attendance. This Blue Knights training camp will be held at Rachel B. Noel Middle School (map). Check in will begin at 6:00 pm. The cost of the Camp Fee will increase the day of–members who have registered but not yet paid, should pay now to avoid the extra cost and added wait time at check in. If members have not already RSVP’d for April Camp, they may register here. PLEASE NOTE: For any questions about fees, please contact Rosalie at the office at Ascend@AscendPerformingArts.org or call (303) 777-1937 before camp. Members should download, complete and notarize the Blue Knights Medical Form/Release here if they haven’t already done so for this season. In addition, members should bring a copy of their birth certificate for our files. 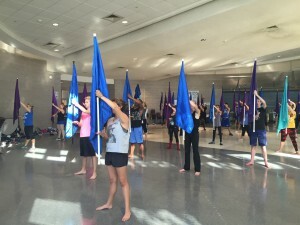 Blue Knights members will stay overnight in the school on the floor, as during the summer. Aside from rehearsal gear, members should have a sleeping bag and anything else needed for an overnight stay: wire music stand (if available), water cooler, 3-ring binder, sheet protectors, mouthpiece(s) for brass, instrument or equipment, cloth gloves for brass, sneakers, sleeping bag, pillow, toiletry items for entire weekend, copy of birth certificate, completed medical release form and camp fee. The member camp fee will cover all meals during the weekend. We will have showers available at the camp location as well. For more on what to bring, please refer to our FAQ. As a reminder for members coming from out of town, please complete our transportation request form here: http://bit.ly/bkshuttleform by Wednesday, April 22nd (if not already done so). Members will receive an email on the Thursday before camp with more details on pick-up. NOTE: Failure to complete this shuttle request may result in pick-up delays. 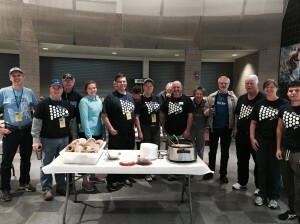 This month, volunteers will cook and serve the meals throughout the weekend and provide airport shuttle transportation. We are looking for a few volunteers for this camp. If you know someone, please check out our opportunities here or contact our Volunteer Coordinator, Keith at Volunteer@AscendPerformingArts.org. Read more about volunteering here. If you have concerns or issues the day of the camp, you may contact us at our email: Communications@AscendPerformingArts.org. 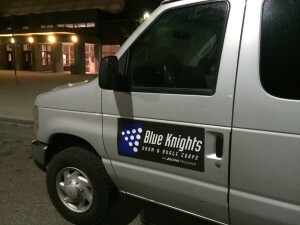 Looking ahead to May, all Blue Knights members should plan to move in on Saturday, May 16th. 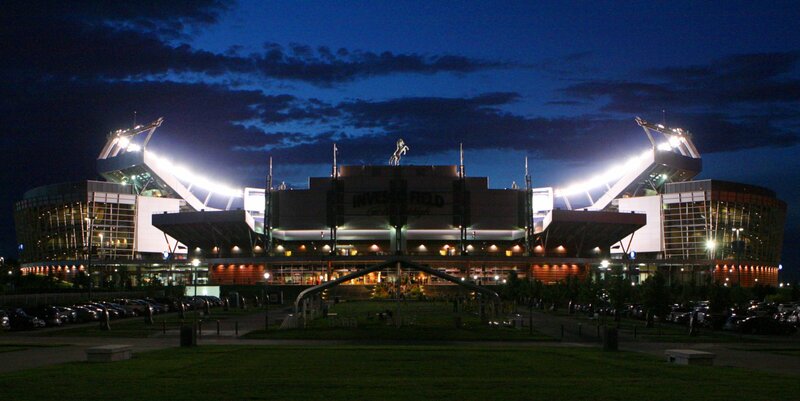 The BK Shuttle will run from the airport to the Denver Coliseum (our housing site) starting at 7:00pm. If a flight lands earlier in the day, members should remain at the airport until we begin our shuttles. Members should fill out our BK Shuttle form HERE to arrange shuttle transportation (if needed). If members are unable to move in on May 16th, members should contact their respective caption head immediately if not already done so and fill out our BK Shuttle form HERE to get a ride when you do arrive. Sunday, May 17th will be the first day of All Days training and as Ascend Performing Arts is now a Charity Partner with the Colfax Marathon, we will be kicking off the 2015 season with a performance downtown along the marathon route. All Blue Knights members will need to have their member wear purchased no later than April Camp so the drum corps will be uniform in appearance during the performance. 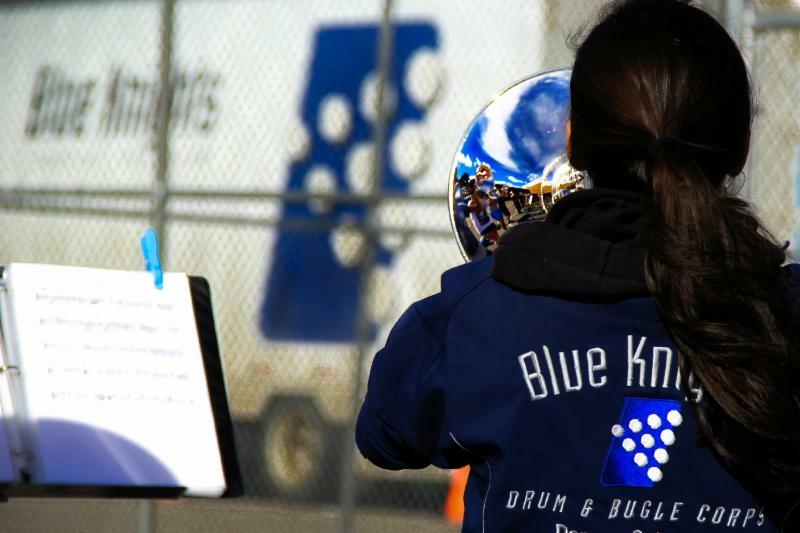 Members can read more about the Blue Knights member wear items in the Member’s Section. Please contact the office via email Ascend@AscendPerformingArts.org or phone (303) 777-1937.